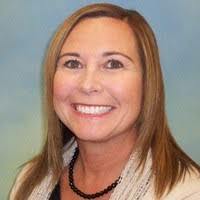 Janice Wortham is a Market Manager-Americas at Mettler-Toledo PCE. She is responsible for business development of PCE Track & Trace Solutions in North & South America. Her responsibilities include supporting new and existing customers to design and recommend the packaging line & site technology solutions required for US & global regulations and corporate initiatives for traceability including the use of serialization technology. Since 2005, Janice has been following regional and country specific regulations and manufacturer and brand initiatives for track & trace requirements. She has worked closely with serialization teams at pharmaceutical manufacturers and contract packagers in the US and globally to design packaging technology solutions for managing serialization, pedigree, traceability and authentication. In her role as a liaison between vendors and end-users, she has contributed to the successful design of packaging technology products and integrated solutions that meet individual business needs for supply chain traceability and authentication as well as regulatory compliance on a global level. Janice holds an M.B.A. with a focus in International Business at the University of Maryland.